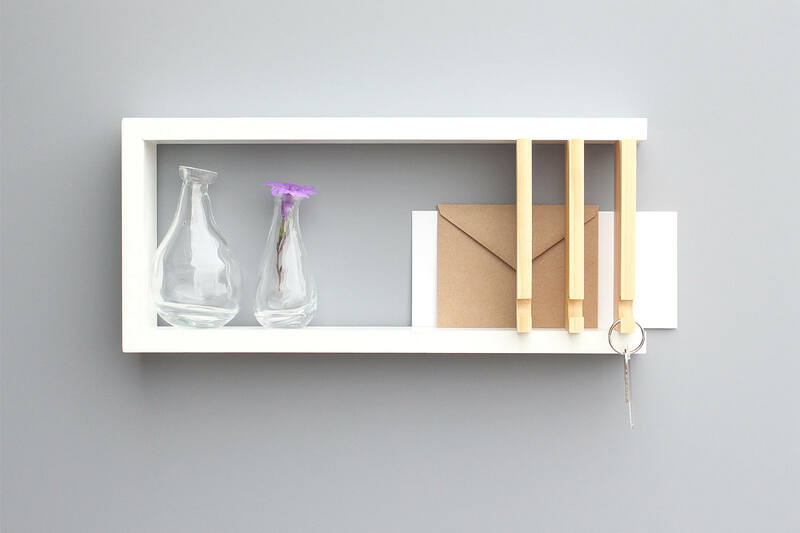 Made of wood, our modern entryway key rack is artfully assembled with a unique key hook design framed by a rectangular pine box shelf. 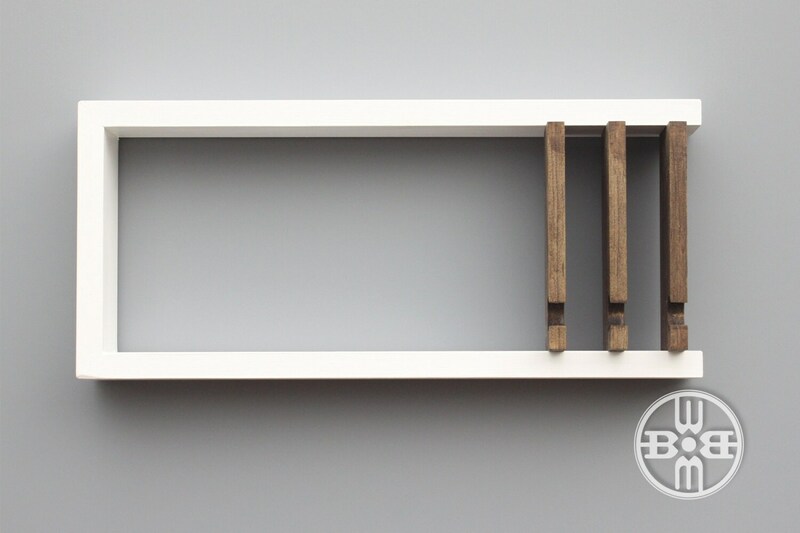 The product sports a two-tone look, playing walnut-stain against a white frame for that extra esthetic appeal. 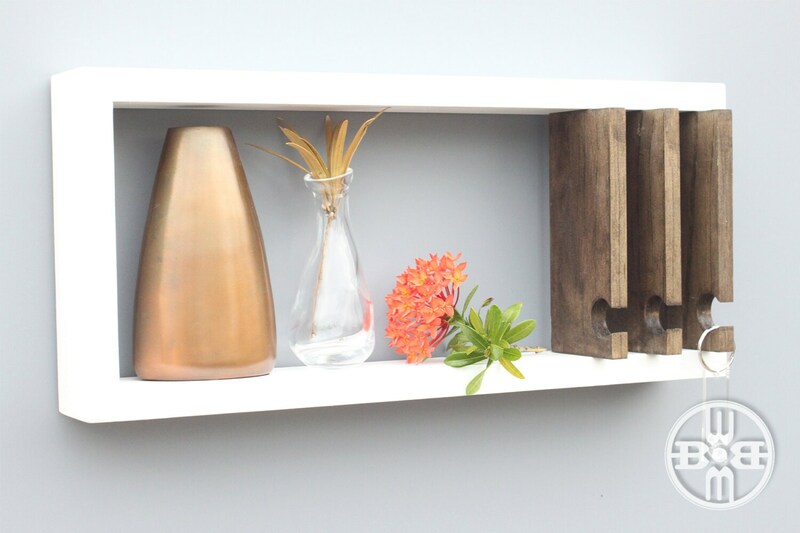 Our modern shelf is easy to install and as a courtesy, wall screws and anchors are provided. 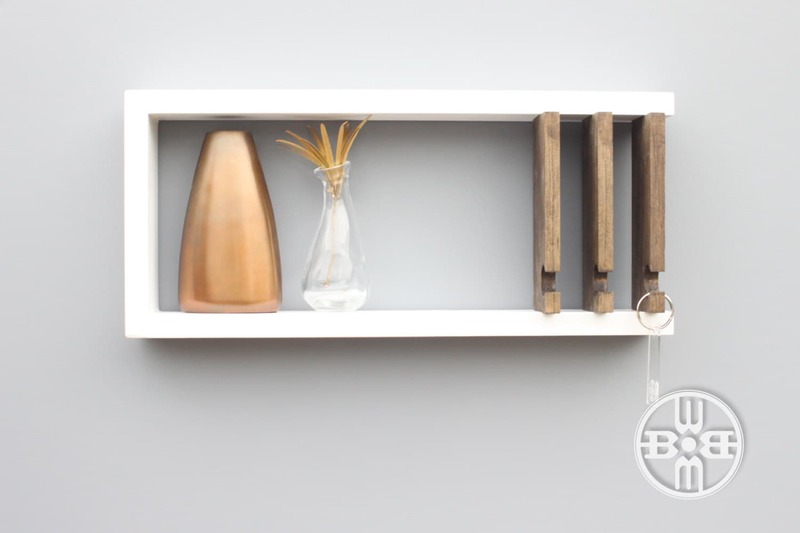 ♣ Color: White painted body with Walnut stained key hooks [or] White painted body with Natural stained key hooks [or] Walnut stained body with natural stained key hooks (See drop down box to select preference.) Item is finished with a modern matte clear coat. 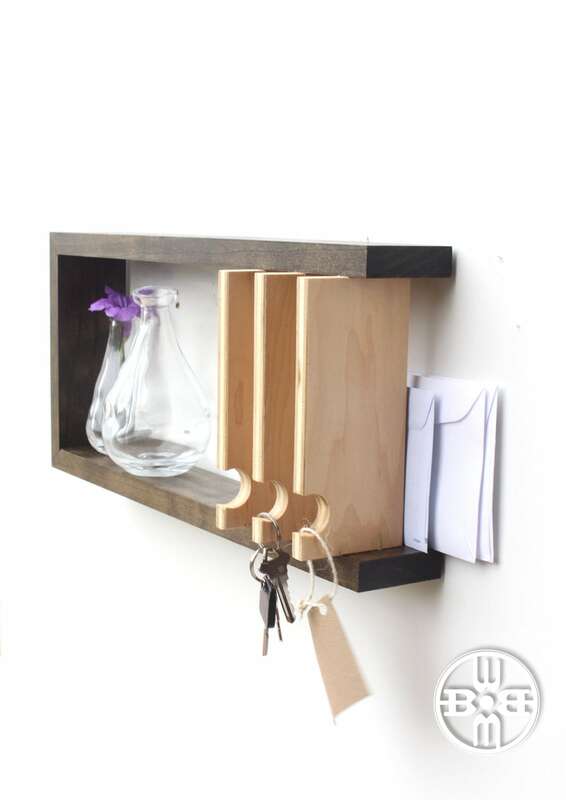 ♣ Your key and mail holder ships via USPS in 5-7 business days following receipt of payment. ♣ Custom orders ship 7-10 business days following receipt of payment, and are final sale.